University of Iowa College of Law alum Joel Bolger was perhaps destined to live in Alaska. His interest in the state began long before law school, when his grandmother told him about a road trip she took in the 1950s with her sisters shortly after the Alaska highway was opened. They were visiting a cousin who worked at the Experiment Farm at the University of Alaska Fairbanks. Bolger made that dream a reality after graduating from the UI College of Law in 1978 when he took his first job in Alaska as a volunteer attorney. And now, after years of varied legal practice, he’s the only judge to have been appointed to all four levels of the Alaska court system. But before Bolger was appointed to the bench, he began his legal journey at Iowa; he continues to reflect on the lessons he learned and the professors whose lectures left a lasting impression. “During my first summer, I was fortunate to take constitutional law from Professor Arthur Bonfield, who gave me a great foundation on effective legal writing, how government works, and how the law should be interpreted,” Bolger says. He also became involved in the College of Law’s prisoner assistance clinic (now part of the Clinical Law Program) and took classes in advanced criminal procedure and Native American law. Growing up in small-town Iowa, he was well prepared to live in the rural state. Early on, Bolger worked as a VISTA (Volunteers in Service to America) volunteer attorney in Dillingham, where he helped members of the community with their applications for Native allotments under a federal land-grant program, in addition to other legal aid and public defender cases. “I worked on every type of case that arises in a small town,” Bolger says. He later continued his practice across the state by supervising an Alaska Legal Services office in Kodiak, working as an assistant public defender in Barrow, and joining private-practice firm Jamin Ebell Bolger & Gentry. Those experiences positioned him to work for a variety of clients on civil and criminal cases and as a contract municipal attorney for the Kodiak Island Borough. In later years, the firm was heavily involved with the litigation pertaining to the Exxon Valdez oil spill. After the federal jury returned a verdict in the Exxon case, Bolger started to look at judicial positions. 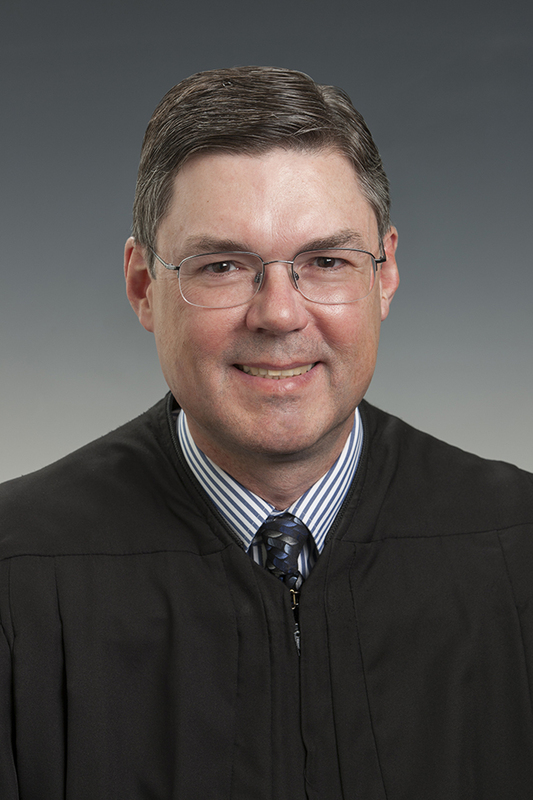 He was appointed to the Valdez District Court in 1997 and has since been appointed to the Kodiak Superior Court (2003–08), the Alaska Court of Appeals (2008–13), and the Alaska Supreme Court (2013–present). Reflecting on his career, Bolger says he would advise current UI law students to not sweat their initial job search.